Computer Arts magazine is dedicated to those designers and artists that are looking to improve their existing set of skills or learn all the tricks of the trade. 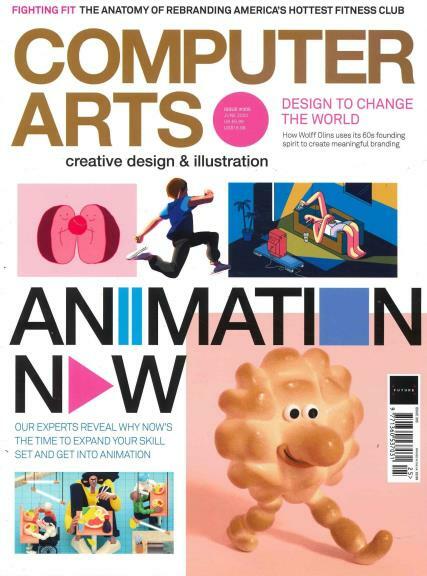 Buy a single copy or subscription to Computer Arts magazine. With the computer taking over the lives of common people and the writing and designing world being overtaken by the benefits of using the computer, it is extremely essential that all designers remain in touch with the latest technology and trends regarding computer usage for better results. The sections that deal with suggestions, advice and inputs for budding designers are planned with a great amount of care. They have on board all the top designers and artists from various agencies that have a large amount of experience in the field and have covered the worlds of illustration, typography, graphic design and web design with all their inimitable work. They encourage budding artists to take risks and experiment with the various technologies that are on offer. All these help you, the fan/the reader to make the most of these columns and let your talent froth to the brim. This magazine also provides you all the dope on taking your work to various platforms and showcasing it the right way. It teaches you valuable technical skills on the Illustrator, Creative Suite and Photoshop and other software that makes the job of the designer all the more easy, manageable but still striking.